A Tale of Wallace and Bruce, 1296-1314 AD. 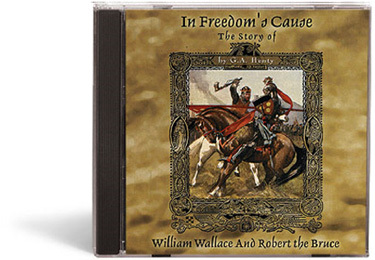 Setting: AD 1300’s – Scotland and England – William Wallace and Robert the Bruce. Story: Liberty or death – this was the choice the people of 14th century Scotland faced if they rose up against their English ruler. Most would say it was no choice at all. Many of the Scottish nobles were English supporters. Few could be expected to rise up against the numerically overwhelming English army. The hero of the story, Archibald Forbes, joins the struggle for Scottish freedom led by the valiant Sir William Wallace and Robert the Bruce. The extraordinary valor and personal prowess of these men rival the deeds of the mythical heroes of chivalry. Henty weaves a wonderful story around the actual events of 1314 at Bannockburn. When people ask us for recommendations for good books for boys, our first thought is usually G.A. Henty. Why? His heroes are fantastic role models of the manly virtues, yet likeable and adventurous and every bit of the history you learn is real. 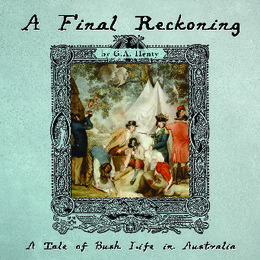 Henty was an Army officer, war correspondent, a historian who began telling these stories to his own children. He was known for writing with stacks of primary source documents surrounding him and you’ll be hard pressed to find a historical error of any kind. And they are just plain fun! 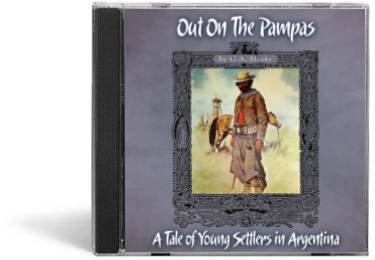 Written in the late 1900s, the language can be a bit challenging for some boys (but it’s so good for them), so we recommend audiobooks! Our friend Jim Hodges does a wonderful unabridged version (you don’t want to miss a word!) and we are delighted to sell them! 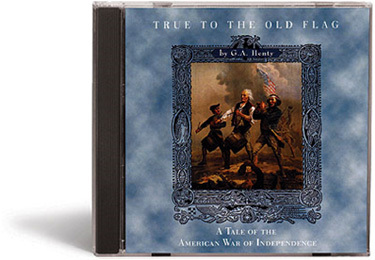 These audiobooks are recorded on mp3 CDs so you only need one and not ten or twelve for one book, but you’ll need to play them on an mp3 CD player (can be bought cheaply at any discount store), your laptop, a DVD player or your computer. Our old van has a cassette deck, so we use a tape adapter and plug it into a laptop or CD player’s headphone jack. These are the books the Young boys grew up on — enjoy! 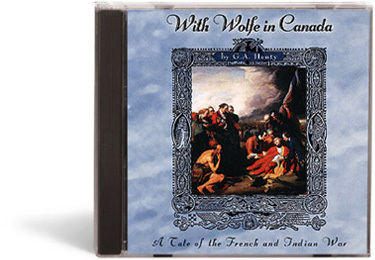 Buy FIVE Henty Audiobooks and one of them is FREE! Use code HENTYFIVE at checkout!